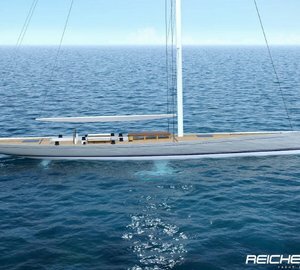 Oyster Yachts has announced its collaboration with Reichel-Pugh to design a 33.5m/110ft sailing yacht known as PROJECT ALPHA for a repeat client who prefers to fly to his superyacht already at the preferred destination, rather than spend long hours in transit, in contrast to the flagship Oyster 188 that is currently in build. The design has attracted interest from other potential clients and the yard is considering in investing in female moulding to meet demand. 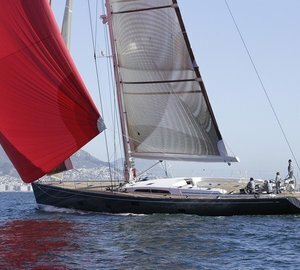 Female moulding assisted in the production of the Oyster 118 and helped the yard to sell the second hull as building in tandem reduces lead times. Current images show PROJECT ALPHA with a large cockpit lined with seating and four tables for guests to dine alfresco and use for personal effects. The helm is placed towards the stern and the bow is clear of any obstructions to make an ideal platform for observation and sunbathing. 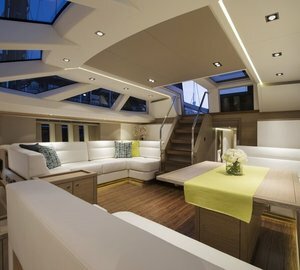 Below deck, the accommodation sleeps up to 8 guests across 4 en-suite staterooms, with the full-beam Master suite located in the bow. The crew quarters sleep up to 6 and there is a tender garage in the stern. There are currently two types of coachroof for the owner to choose from: A wedge deck and the more square, more traditional coachroof associated with past Oyster Yachts. 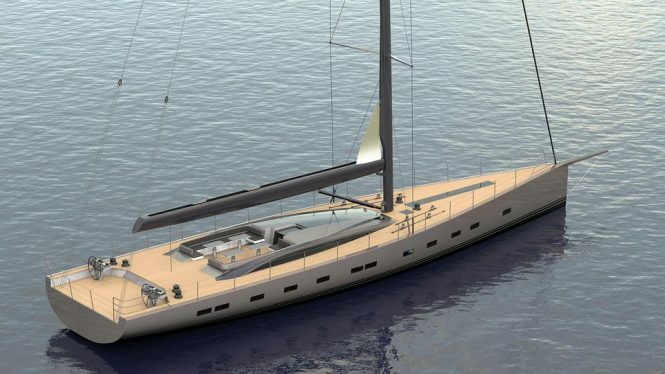 The shipbuilders are also developing several other new models, including the 27m/89ft Oyster 895 (due to replace the current Oyster 885) and a concept by Rob Humphreys Yacht Design for a 32m sloop that features a removable bimini for regatta racing. 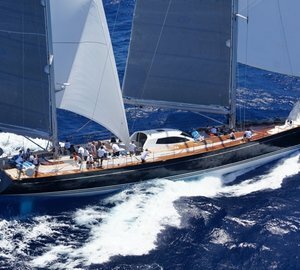 Please contact CharterWorld - the luxury yacht charter specialist - for more on superyacht news item "Oyster Yachts and Reichel-Pugh team up for 33m S/Y Project Alpha ".